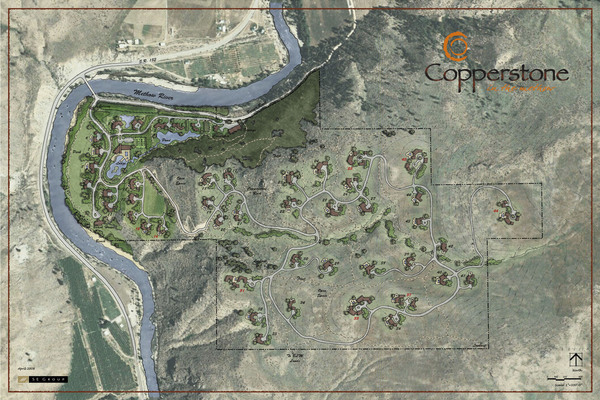 Located on the Methow River in eastern Washington, Copperstone is a planned community of 46 carefully placed home sites designed with minimal impact to the environment and natural beauty of the site. Prentiss Balance Wickline Architects is responsible for overall architectural character of the project and building design while working in conjunction with the SE Group who is responsible for master planning and site development. Site amenities include a lodge with tennis courts, pools, and a river side community beach house. The site development retains large areas of open space which occur throughout the site including a beach at the rivers edge and trails that wind through the site around the ponds and connect with an open space park. Roads are minimized and obscured from view to preserve the natural feeling of the site while vistas are maximized for each home site to take advantage of the extensive panoramic views of the mountains beyond.